Speedwell Tennessee entered Mormon history in 1908 with the baptism of Josiah & Harriet Haynes. Several of their children joined too, including a daughter, Pearly Shipley. She opened her home to missionaries when they came through, though at first it was only about once a year. The missionaries split their time between the Shipley family and the Haynes family. But it was widely understood that it was Pearly who was primary support for the Church in the area. Will and Cora Smith joined a short time later. In 1936 the Speedwell saints were organized into a Sunday School, meeting in the Piney Grove Church on Jones Ridge. It was shared by different denominations and the Mormons used it early Sunday evening. Using a shared meetinghouse was not without its problems. At least once members arrived to find the building locked up specifically to prevent them from using it and guards to explain why. 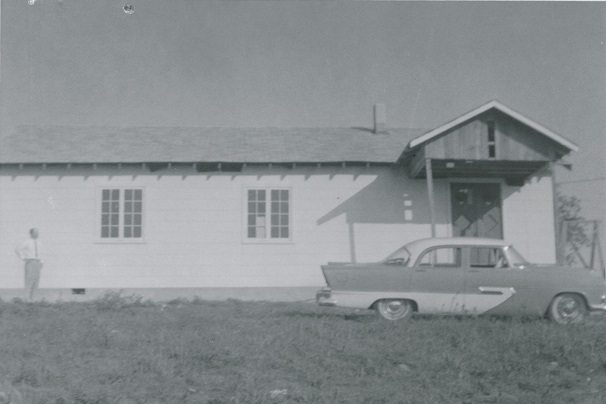 In 1954 (one source says 1957) Mark Haynes donated land on which the church could build a meeting house. The Shipley and Smith families took out lines of credit to purchase building supplies, which was paid back through various member supported fund raising projects, included selling "sugar beets and green peppers" and other vegetables grown by volunteers. 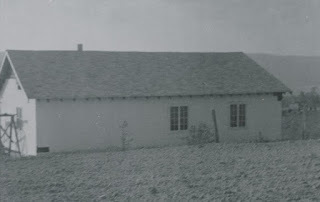 It was a small wooden one room building located on the crest of Haynes Ridge. You could only get to it by following miles of dirt roads, which became impassable mud roads when it rained. Carl Shipley, son of Pearl Shipley led the small group. He lived in valley to the north of Haynes ridge (the town of Speedwell is actually in the valley). Each Sunday morning, Brother Shipley drove up the mountain to Haynes Ridge. "Members along the way would see Brother Shipley and his mother, Pearly. They would follow them to the Church for Sunday School." At first the Sunday School was dependent on the Knoxville Branch, and when that branch was split, they became dependent on the Knoxville South Branch. In 1970, the Sunday School was merged with the LaFollette Sunday School and some members from Tazwell and Middleboro. Of course this meant that Haynes ridge was no longer the best location in which to meet. So meetings there were discontinued in favor of joint meeting location at a house in Fincastle. 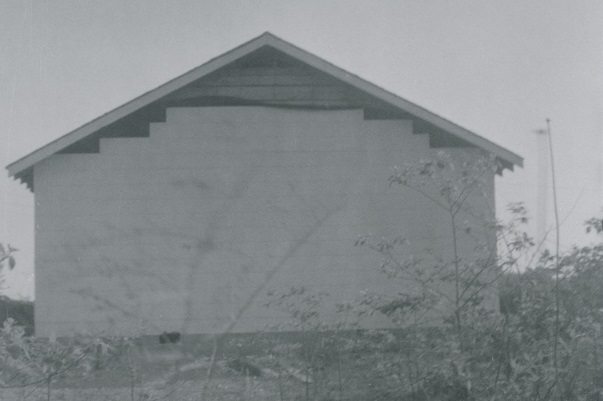 "During the Spring of 1974, Silas Mosingo had indicated to Grover Smith that he wanted to purchase the Speedwell Chapel and convert it into a home. He was moving from Michigan to Speedwell as soon as he could obtain a home. A price for the building and the one-acre lot was given by Brother Jim Judge, Church Real Estate Office. The Power of Attorney was delegated to me by the Church to finalize the transaction. Brother Judge sent me a warranty deed which had been prepared and signed by the Presiding Bishop, Victor L. Brown. The strange thing was that Mr. Mosingo insisted on meeting at Cove Lake State Park to make the final exchange of money for the deed. He absolutely refused to meet at the bank in LaFollette. He and I agreed to meet on July 4, 1974 at high noon at a designated place in the park. Not knowing the man, I was very apprehensive about the meeting place and about receiving a large sum of money." "I lay awake worrying about the unusual arrangement. In preparation for the meeting and in an attempt to remove the fear that was beginning to gnaw inside me, I made arrangements for Roy Gene Smith, Grover Smith, and Leek Mayes to stay close to me during the exchange. These men were Elders, each weighed 250 pounds or greater and carried no fat. The Lord had blessed each with much physical strength, They could be tough if they had to be. Leek Mayes had just moved to Cumberland Gap from Cody, Wyoming where he had been running a ranch and wrestling cows for thirty years. Grover was 6 feet, 4 inches tall and could run like a deer. Roy Gene worked at repairing coal mine equipment and didn't know his own strength. I felt good hiding behind these good men." "We met at a previously chosen place. Mr. Mosingo came alone and counted out the cash money on the tail-gate of Grover Smith's truck, while we four looked on. While the money lay there in full view, I gave him the warranty deed for the Speedwell building and Grover Smith occupied Mr. Mosingo in small talk, I picked up the money and stuffed it into a bag, then we transferred the bag to the bank. I was a little nervous to say the least, until that money was safe in the bank." It may sound strange, and I'm not adding this to make a point, but the building burned to the ground "a few years later." Of course that means no current photos are possible. 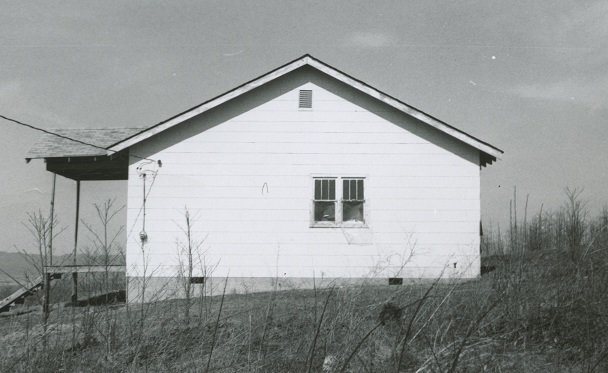 I served in the Kentucky-Tennessee mission from 1971 to 1973, and had the privilege of reopening the Lafollette branch as my first senior companion calling 3 months after I arrived in the mission field. The newly called branch president was from Oak Ridge, and he picked us up early that first Sunday and took us to the house which had been purchased to serve as the Lafollete/Speedwell branch church. We arrived early and found a message which had been tacked to the front door, which read "we don't want you Mormons in our town, and if you don't leave, we will burn down your church and kill your missionaries". It was signed "Community for Christ". As far as I know, no one ever found out about the note other than the BP and us. As for me, I was kind of excited. Too young and dumb to be overly scared, I was pumped at being a martyr for the Kingdom. I loved my time there. Later, when I returned to Utah, I received an announcement that they were dedicating a new chapel there. Two years later, I returned to Tennessee to do my graduate work at the University of Tennessee and was invited to speak at one of their sacrament meetings. It was nice to be able to take my wife to the area and become reacquainted with the wonderful members there. That is an awesome story. The branch president would have been F. Eugene Muggridge. I don't know him personally, but he helped write the one of the sources I am working from. Horace Tilman Smith along with several other Smith's and Shipley's were baptized in 1938. A renewed drive to build the Speedwell Branch appears to have been in 1956 when Elders Doxey and Summers were in the area and baptized my grandmother, Cora Smith, and my mother, Ruby Smith. I would have to say the year the chapel was built was 1957, from the stories I was told growing up in the church there. When I was baptized in 1971, the push began to merge Speedwell and Lafollette Branches together and to meet at Lafollette. The goal was to build a church in Lafollette, then later in Speedwell. Thanks for your additions Steve. It is hard to know which date (1954 vs 1957) was right when your only sources are secondary. It shows up as 1954 in 9 out of 10 sources, but they all quote each other. Volume does not make a point more correct. But based on your experience I'll lend more weight to the 1957 date.